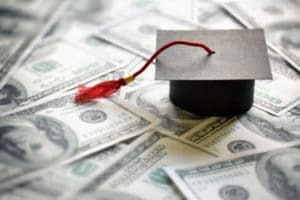 Divorcing with college-age children may lead to the inevitable question of who will pay for college expenses of the child. In Illinois, Section 513 of the Illinois Marriage and Dissolution of Marriage Act controls this question. Section 513 provides that the Court may require either party to contribute to the educational expenses of a child over the age of 18. These educational expenses may include tuition and fees, housing expenses, medical expenses, living expenses of the child, and the cost of books and supplies. The important thing to note here is that this section says “may,” because parents are not required to contribute the post-secondary expenses of their children with the same certainty as when the child is under the age of 18. A recent DuPage County case brought these changing norms to light when it again challenged the constitutionality of Section 513. In this case, Yakich v. Aulds, both parents were ordered to pay 40% of the college expenses for their daughter and the daughter was ordered to pay the final 20%. However, the mother paid the daughter’s portion of the expenses. The father, Yakich, argued that parental decision-making with respect to college contribution exists for married persons, but this input ends for non-married couples, and he was therefore unable to give meaningful input into his daughter’s college decision-making process. He further argued that because of this lack of input, non-married parties can be forced to bear a burden with respect to their child’s college expenses when they had no say in where their child went to school or how much tuition cost. This obligation, he argued, does not exist for parties who are married or single, who are not required to contribute to their children’s college expenses, violating the equal protection clause. The Court largely agreed with the father in this case and found that divorced or never married parents are not provided the same input and ability to educate their children as married persons are permitted. Further, because the Court found that there is no rational basis for this difference, it determined that equal protection was denied to the father in this case and Section 513 was unconstitutional as applied to him. This case does not completely abolish Section 513, as it only decided regarding one specific situation. However, it puts this statute on the chopping block if other Courts were to agree with the Yakich v. Aulds Court and find other circumstances in which a party being required to pay college expenses would be unconstitutional. TheYakich v. Auldscase is currently on appeal. We will keep this blog updated when the higher courts give their ruling. Kujawinksi v. Kujawinski, 71 Ill.2d 563 (1978). Rawles v. Hartman, 172 Ill.App.3d 931 (2d Dist., 1988). Yakich v. Aulds, 15-F-651 (DuPage Cnty May 4, 2018) (citing Livingston, Gretchen “Fewer than Half of U.S. Kids Today Live in a ‘Traditional’ Family,” PewResearch Center, December 22, 2014, http://www.pewresearch.org/fact-tank/2014/12/22/less-than-half-of-u-s-kids-today-live-in-a-traditional-family. Yakich v. Aulds, 15-F-651 (DuPage Cnty May 4, 2018).